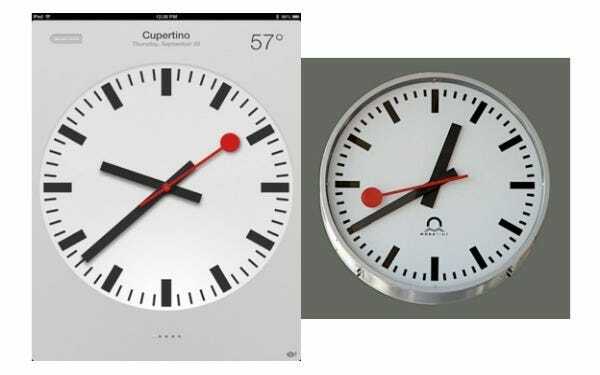 Back in 2012, the Swiss Federal Railways company SBB accused Apple of stealing its iconic clock design. The clock was originally designed in the 1940s by Hans Hilfiker and is a symbol of both the company and the country. Eventually, Apple did the right thing and agreed to pay $21 million to Swiss Railways to license the pleasing analog clockface design. It was a minor humiliation for the computer company, which prides itself on thoughtful and careful design. Now, Swiss Railways has poured salt in the wound by giving a huge contract to Samsung, Apple's archrival. Swiss Railways will buy 30,000 Galaxy S4, Galaxy Note 3, Galaxy S4 Mini and Galaxy Tab 3 devices for its employees, according to Bloomberg. Samsung declined to comment, and Apple didn't respond to a request for comment. Reto Scharli, a spokesman for SBB, said the railway operator's decision to team up with Samsung was unrelated to the issue with Apple in 2012. Swiss Railways publicly asked for bidders for the project, and Samsung made the best offer, he said. "Concerning Apple: We were proud that they had chosen our watch," Scharli wrote in an e-mail. "But it could not be for free."